When I received the welcome into the FINRA Foundation Military Spouse Fellowship program I was excited about the opportunity to earn the career-enhancing AFC® certification mark. I felt proud and well on my way to achieving my personal and professional goals. But I also knew that I was just getting started and would have some work to do to fully achieve certification. Practicum hours were one of the requirements ahead. As part of the AFCPE guidelines, candidates must obtain experience in the field of personal finance. Think key words from the AFCPE acronym: Financial Counseling. Planning Education. For those who are new to the profession, practicum, or experience, hours offer the opportunity to gain the confidence, skills, and connections that will long serve you throughout your career. When I started the program, I oscillated from feeling quite sure of myself to asking myself, “what did I get myself into?” Since practicum is just but one part of the program, candidates must balance this among studying and taking the exam. To help other AFC candidates who are navigating the experience requirement, I queried some fellow AFC professionals to share their advice. Everyone I talked to says this is of the utmost importance. Support comes in many forms. Mentors can come from inside or outside the industry, but a good mentor is one who has accomplished goals and can help you accomplish yours. Role models are other individuals who have already been through the program. Buddies are going through the program just like you. I am grateful that I found a few great [Military Spouse] Fellows to share our experiences and ask questions of along the way. I think that is the only way to survive the process. The FINRA Foundation Military Spouse Fellowship offers a mentorship program, as does AFCPE membership. Keep in mind that a current supporter can be a valuable connection when job searching is in the future. Show them the value of your hard work and AFC® expertise, and you can set yourself and others up for a rewarding personal finance career. “Don’t be afraid to ask [your mentor] to help you make a connection,” AFC® Jen Hemphill reminds us. That is called networking and is still 80% of how you will get the jobs you want. 2. Make a personal, practical plan. In life, one thing is certain: change is coming. Many people use this as an excuse to “wing it” and fail to plan. True, you may not be able to manage every aspect of your experience, but if you’re not continuously making a plan to succeed you are really making a plan to fail. My practicum, like Desiree’s (which is probably why we buddied so well) was in the midst of two moves. Each place required new or additional support, “job-hunting” again, and a re-balancing of family and accreditation priorities. That was hard. The opposite, going full-burner, is a different kind of hard. AFC® Meggan Orenstein finished her 1,000 hours in a year and 8 months. At times the pace was a bit much. My family and I would not have been able to keep up with me “working” so much for too much longer. But, I am so glad I was able to get my designation relatively quickly. Know all expectations of the program, factor in your lifestyle, and reflect on previous experiences. Then identify your supporters. This will help you decide whether to take baby steps, dive in feet first, or find a happy combination of both. It will be hard, but it is hardly impossible. For example, you can’t just teach. There is also counseling, coaching and continuing your education. I personally recommend going two inches deep and 5 miles wide. Otherwise, how will you know if you are better at something than you thought you would be? One of the biggest contributors to practicum hours for me was through Junior Achievement. I never in my wildest dreams would have thought of myself as a teacher or educator. And through this practicum opportunity, I came to realize that it is my passion. I love spreading financial literacy, especially to youth. With many opportunities comes much responsibility. We all want to pass on the great advice our supporters drilled into us. Keep good records! You will not get credit if you do not keep contact info, time sheets, and a datebook. “Excel spreadsheet it and document everything as you go along. It made it much easier when it was time to seek final approval,” says Meggan Orenstein, AFC®. When AFCPE opens the door to the certification process, you do receive all this advice and more. “Start early, document, reach out if you have questions”; but we AFC®s are here to tell you, you must take that advice. Those hard-won letters after your name that someday someone will call alphabet soup are not just letters. They are your accomplishments, skills, and your passion identified for the entire world to see. Your supporters will become references; your planning a key to success; your records resume bullets and reminders of what you didn’t like and what you loved. 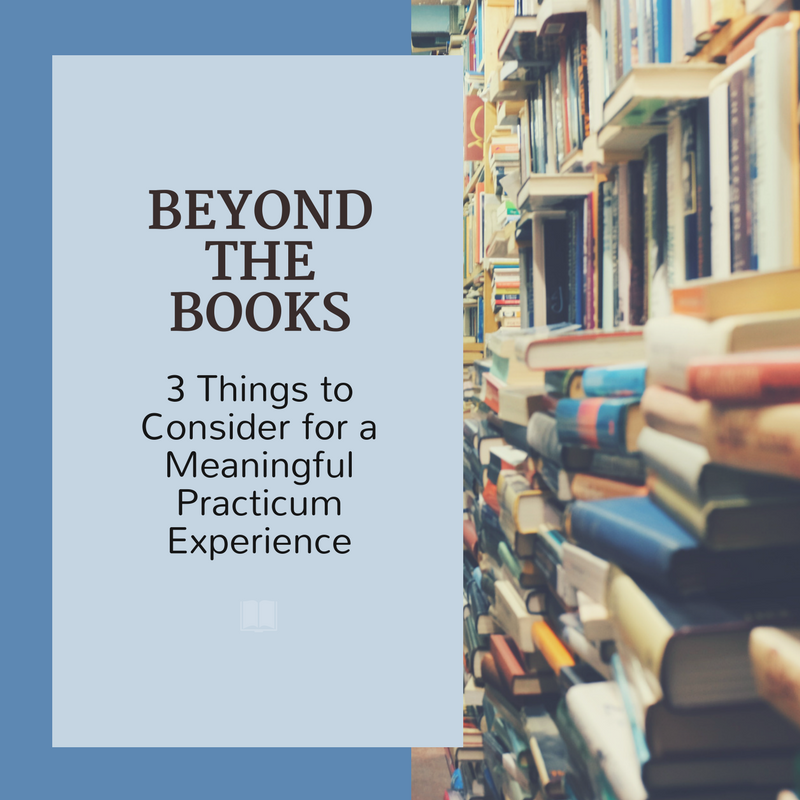 Consider the end you have in mind and your practicum experience can be meaningful, one of the most meaningful experiences of your career. Starlett was a recipient of the 2011 FINRA Foundation Military Spouse Fellowship for the AFC® . While some of the practicum (or experience hour requirements differ for this program), the advice offered here is universal for all candidates pursuing AFC® certification.